I remember the first time I preached a sermon, though it’s unlikely anyone else does. In fact, I’m actually relieved that no record remains of its existence. I was asked to preach one time and, like many other first-time preachers, I brought everything I knew into that message. It was long, painful, and scattered–but a kind group of older adults not only invited me to preach, they also patiently sat through my message–though they never asked me back. 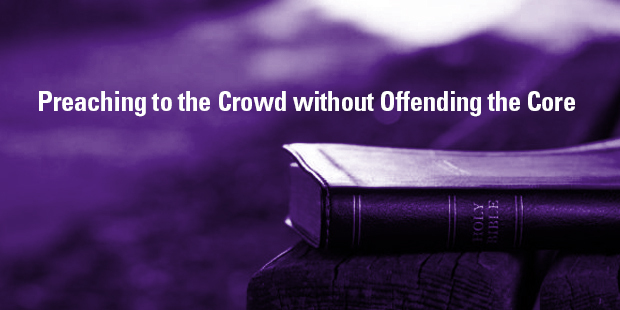 Preaching a stand-alone message can be tricky. For me, they generally fall in between sermon series (as I much prefer to preach) or when I am invited somewhere as a guest preacher. Sometimes, as a guest preacher you are part of a series. For example, at one church, I simply continued the series (though I was a little bitter with the passage I was assigned). This isn’t too difficult– you listen to a few messages before, tie in to those, and help the pastor along the way. However, it’s harder when you are the guest preacher with a single topic. I think you can go about it in two legitimate ways. 1. Preach a text on a topic. 2. Preach a topic with texts. A message is supposed to be grounded in the text, but text-based messages can still become exegetically irresponsible if we force a theme onto a text when it really does not fit. For example, if you are preaching on “motherhood” on Mother’s Day, it might be better to connect with multiple texts rather than preach a text that touches on motherhood and you make it all about motherhood. So, when preaching a text on a topic, you need to be careful that you don’t let the topic mold the text. Rather, the text, if appropriate, will inform and mold your approach to the topic. However, approaching a message in this way means it may look somewhat different from a standard expositional treatment of the passage. If I am preaching a text on a topic, I do not tell everything I would in a verse-by-verse exposition. Instead, I talk about how this verse undergirds the topic, but also that it addresses more than this topic. I say that, but I do not explain that–there is not time. The topic will limit, to a certain degree, what I unpack from the passage. For example, when I filled in at another church, I preached from a text on a topic. The text, 1 Peter 4:8-11, involves much more than “Engaging all God’s People in Mission,” but it does include that. When I preach a one week message, after all the study and preparation I wind up leaving a lot on my desk that I don’t take with me into the pulpit. But, I make sure that what I do take is faithful to that text. On the other hand, one can also responsibly preach a topic with texts. I recently returned from a church where my job was to encourage people to “live sent.” I preached a topic with a few texts. The topic was how we might live as the sent people of Jesus. The texts (as well as the title) were the “Sendings of Jesus.” These commissions included John 20:21, Matthew 28:18-20, Luke 24:46-48, and Acts 1:8. The principles are actually the same. I wound up leaving a lot on my desk, but I worked hard to be faithful in what I brought with me to preach. How do you avoid being irresponsible with the text? Well, I believe it is easier to be responsible with a series– which is why I think series are better! If you are preaching through a book, it is simply following the arguments, themes and stories of the author. If you are preaching doctrinally or thematically, you can bring the whole counsel of God to a topic by being faithful to what the scripture teaches in its multiple mentions of the topic. However, you simply cannot be as thorough in a one shot message. 2. Don’t share everything that you know–leave some things on your desk and tell people you are doing so. 3. 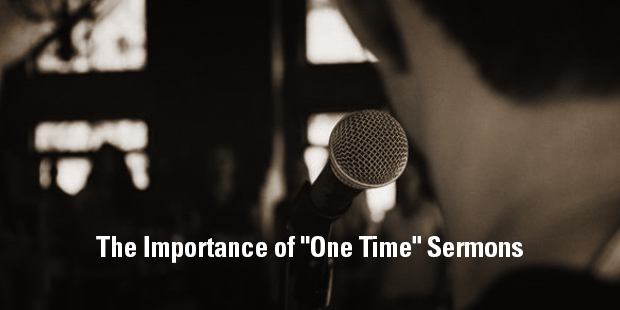 Don’t preach a single message like a series– you can’t do it well. Single messages have limitations and you have to live with them. 4. Point people to Jesus. Don’t simply leave them with commands, lead them to the promises of God in Jesus. I should end with my bias. I don’t like single messages. I prefer series because I find I can present a clearer picture of scriptural teaching on an issue. But, do not despise the single message–nobody ever preaches a series in the Bible, and we don’t see it much until John Chrysostom in the 4th/5th century. Be faithful with the small things… even the small sermons. However, good culture, combined with good strategy, is powerful. Take church planting for example. I’ve written before about how church planting movements benefit from a simple structure that encourages reproducibility. This follows in the structural model Paul set up for the churches he planted. The goal and culture of church planting is one of reproducing the next generation of churches, pastors and planters. To accomplish this, churches and organizations must be intentional to establish structures that mesh with the culture. Such structure is important in all churches that grow beyond a few dozen members. The structure you have in place should be an aid to the culture you are trying to produce, not a hindrance. So, how can that happen in your church? 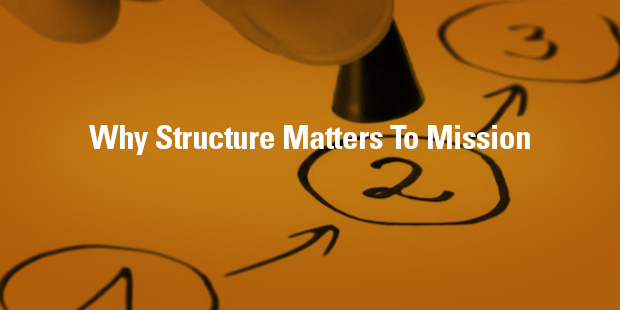 How can you implement a structure that affirms the missional culture you want to establish? 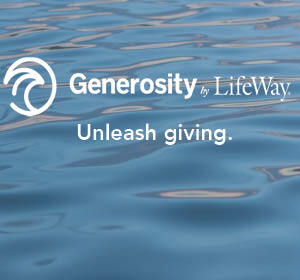 Look to provide a simple way for people to progress to the next step of service and mission. At one point not that long ago, one out of every ten churches in the United States were “Purpose Driven,” measured by some level of participating as part of that network. It was higher in some parts, and lower in others. But, the influence was amazing. Obviously, the terminology has certainly declined in the United States. Despite there being fewer churches using “Purpose Driven” terminology, it’s left a helpful and important impact. Even if you don’t use the phrase, you’re probably using the structure (or a variant of it). Perhaps not the famous baseball diamond, but certainly the fact that there is a progressive plan to being people to deeper spiritual maturity through a process. In a 2002 Christianity Today article, Tim Stafford wrote, “Purpose-Driven principles are best explained with two diagrams you can scribble on a napkin. One is the baseball diamond, used to explain the flow of church ministry in a person’s life.” The other, and perhaps more important, has to do with purposes, but for this article, I will focus on processes. And, that really was a revolutionary idea—made simple. Rick Warren created the baseball diamond to show there are things that every Christian should know and experience, such as evangelism, church membership, community, discipleship and ministry engagement. It was an easy and effective way to demonstrate the sequential process of discipleship– which is one of the reasons it exploded globally. At a church I used to pastor we talked about begin, connect, thrive and engage. The names have changed and perhaps the way it is applied, but the need for a structure that encourages a culture of making disciples has not. We are children of a Purpose Driven structure– and your church probably is a well. We’re using the process without the terminology. And, that’s what we need to move people toward mission. Victory Metro is a multicampus megachurch headquartered in Manila, Philippines with 65,000 attendees each Sunday. Two of their leaders have written fantastic books that deal, in part, with how structure can help culture. Steve Murrell, an American missionary who planted Victory in 1984 and has recently returned to the US, describes the model in the book WikiChurch: Making Discipleship Engaging, Empowering and Viral. When I interviewed him, Steve said that a WikiChurch, like Wikipedia, does not require professional oversight of the work being done. By the way they operate, the intentional structure of the church, the leadership encourages all of the members to be involved in service. Their culture is strengthened by a structure that equips and empowers every believer to be on mission. Joey Bonifacio, a former leader at Victory, wrote The Lego Principle about how people were designed to be in relationships. They were made to connect on the top and the bottom, with God and others. No matter the color or when the Lego piece was made, they fit together and can make something amazing. 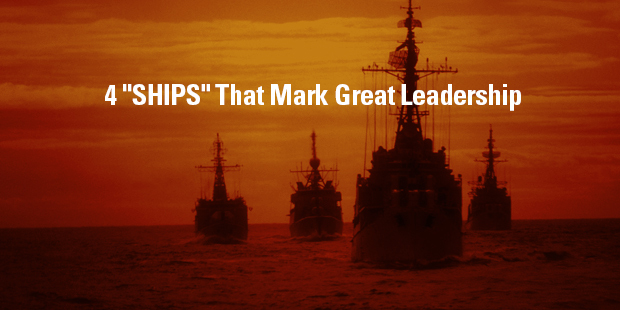 These ideas of empowering believers and building relationships are served by the structure established in Victory. Joey compared it to the process immediately after arriving on an international flight. You have several steps that you always take. No one gets through the airport without going through those. You go through and have your passport checked. You pick up your luggage. You go through customs. It is all a clear path for everyone involved. There is no question as to what is next. Their church has created a simple process for everyone to go through. 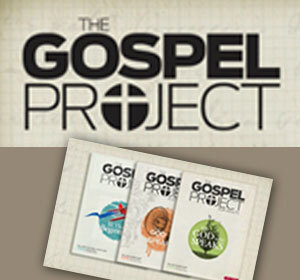 Part of what makes it fascinating is that they actually have an app to take people through their discipleship process. I had never thought about using that, but it is brilliant in their context. Here’s the thing that I think is key for Victory. They have a very intentional pathway that reinforces the culture they have developed in their church since the beginning. 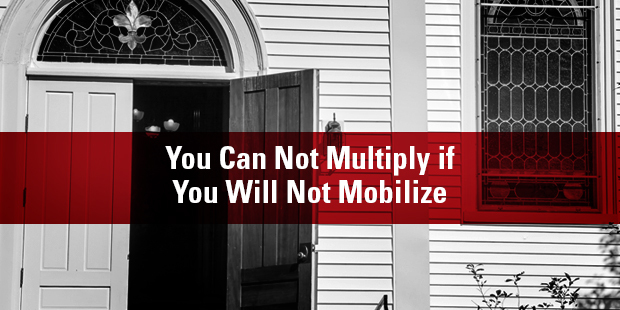 But what if your church hasn’t always had a missional culture? Maybe, you are working to grow that type of mindset. Can that be done? Can a structural change help in the process of creating a new culture? Absolutely. I’ve written before about how the church I planted a church that grew from a 25-person core team to 125, but the 100 that came in didn’t do anything. With a new culture we encouraged them to change, but was also empowered them to change with practical structural shifts, one of which was requiring all members to go through a training course. We didn’t just say, “We need you to serve here.” We said, “We need you to serve here, but first we are going to train and equip you for that service with a three-class course.” Two families left because they just did not want to participate, but everyone else got on board with what we were doing. The right structure provides a very clear, intentional pathway for your people to progress toward mission. The culture is what pushes everybody towards that pathway. At Victory, they have 50,000 people who are turning to their neighbors consistently asking, “Have you gone through One-to-One? Have you been to a Victory Weekend?” Their structure and their culture work together to affirm their values. This is a process for your church. At Grace, our plan was to get the whole church walking through our pathway. We had our clear path established and the desired culture expressed. For you and your church, it may look differently in terms of the specifics. Joey was clear that he doesn’t believe American churches can come over and copy Victory’s method step-by-step. They have to be contextualized to the setting of your church. Victory’s plan works in their Asian context. Joel Hunter, at Northland in Florida, has worked to adapt some of what Victory has done, but it is tweaked to fit where God has planted them. When your culture and structure are in sync, they will move your church, regardless of its size, toward being missional. If you set your face like flint toward your goal, with your culture and structure in support, you can move to missional. Want to learn more about structure for your church? Connect with an Auxano Navigator today! If you want everyone to love you, go sell ice cream, don’t revitalize churches. I’ve led a few churches through revitalization and found that, in each case, when we took the time to love one another, people became excited and were more ready to go on mission. Any disconnected church that seeks to re-engage with their community will find the experience to be messy. The fact is we need a mass movement of revitalization across our context. When we do, the mission force will engage the mission field and churches will be refocused on their mission. 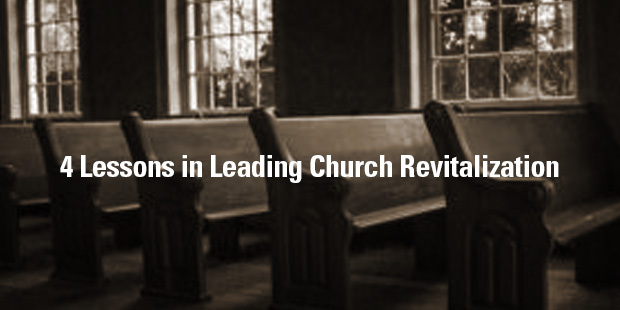 Connect with an Auxano Navigator to learn more about revitalizing your church. There is a growing movement of churches and organizations (including here at Wheaton College, where I now work) that are seeking to help Christians see their jobs—whatever they may be—as a calling and something that can be used for the growth of the Kingdom of God. And rightly so! 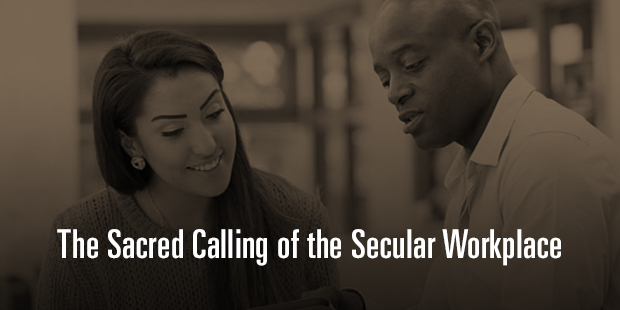 The unfortunate divide between “secular work” and “sacred work” has lasted too long. It is only when we all begin to see our work as critical and God’s hand upon our lives that the gospel will be preached even more robustly. In this two-part series I talk about just this: the importance of seeing our work as a calling. In Acts 11, we read that because of persecution in Jerusalem following the stoning of Stephen, Christians were dispersed into various parts of the world. In their new homes, they continued to live as they had in Jerusalem, practicing and preaching their faith to both Jews and Greeks. As a result, the Lord saved “a large number,” and the church in Antioch was birthed. The people who had been scattered into Antioch were regular people, dads and moms, who needed work to support their families. They lived among the Gentiles according to their faith, proclaiming the gospel. Many saw and heard and believed. There is something particularly interesting I would like you to see here: it was not the Apostles who planned a church plant in Antioch, gathered the funds and core groups, and moved into these neighborhoods. The church in Antioch began with believers whom God had sent there, not by their choice, but by way of dispersion. They had families and jobs and regular lives, and they used those things as a way to represent Christ among their unbelieving neighbors and co-workers. In short, they were on mission in their workplaces and homes, and the Church grew as a result. Do you see it? Regular people grew the church. Most of the people who read this blog are pastors or church leaders, but the people we lead are accountants, teachers, doctors, and electricians. Church leaders, we need to understand that we are meant to equip all of our people for participation in God’s mission. I am convinced that participation in the mission necessitates bringing everything under the Lordship of Jesus Christ, including our jobs. As a result, confusion often abounds in regards to vocation and how we can joyfully thrive in our work. Everything we do is shaped by who we are in Christ, including the manner in which we approach our workplaces. At the end of this blog post I am including a helpful video my friend Skye Jethani did on “Recapturing a Theology of Vocation for Gospel Witness.” It is a very helpful piece. All the way back in the beginning, kingdom work was rooted in God’s command to Adam to cultivate and steward the garden. The principle is more fully revealed in the work of the second Adam, Jesus. Adam was commanded to glean the harvest in Eden, but the second Adam brings a better and more complete harvest of the nations. If we are going to really see Christians satisfied in their work and joyfully engaging in the mission through it, we must equip them to do so. If we want to see the kind of multiplication of disciples seen in Acts 11, every follower of Christ must understand his or her role in God’s mission. Just as God was sovereign over the dispersion of His people into Antioch, He is sovereign over where we have been placed in our neighborhoods and workplaces. That definitively means that we are in those places for the glory of God and the sake of the gospel among the nations. In my next post, I will talk about how we can prepare this coming generation to see their vocations as a call from God and help them fully embrace it. When John Piper was pastor, Bethlehem hosted a church-planting conference with Global Church Advancement. I was on deck to speak next as Piper talked about church planting on video. But, his point was that the risen Christ plants churches. He builds them by changing hearts. And He has been working in your city long before you got there, so it’s His church. We can try to do it all in our own strength, but only God can build a church through His Son, Jesus. In Matthew 16, Peter had just confessed Jesus as the Christ. That confession and statement of faith are the foundational “rock” upon which Jesus builds His church. The gates and forces of Hades will not overpower it (Matthew 16:18). This is the work of Jesus. He builds his church. So why keep reading? 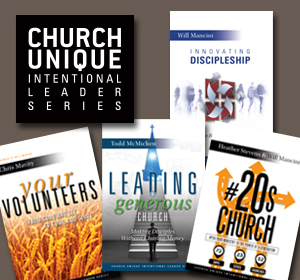 Why pick up one of my books on church planting? 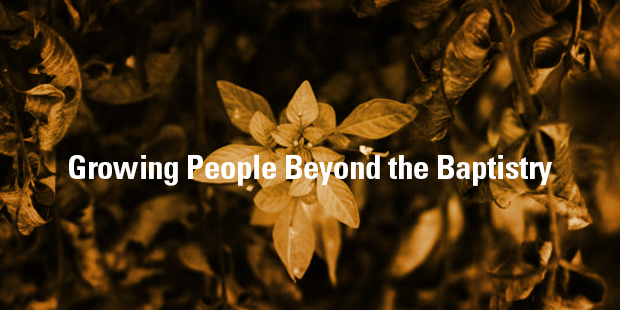 Why attend a church planting conference with John Piper, Ed Stetzer, or anyone else? Jesus doesn’t build His church despite His disciples, but through His disciples as they are led by His commands and empowered by His Spirit. Matthew doesn’t end with chapter 16. Matthew ends with these words, The Great Commission, in Matthew 28. Here’s what we learn from Jesus’ commission to His disciples. Jesus has all authority in heaven and on earth. He essentially reverses the claim that Satan made in Matthew 4 that the kingdoms of the world are his to give Jesus if the Son of God would worship Satan. Only a crucified and risen Savior is the King of the kingdoms. With this authority, He calls His disciples to go and make disciples of all nations among all people groups, by baptizing them and teaching them what He has commanded. Jesus goes with His disciples as they go. He builds His church by His authority and through His presence with His disciples who make disciples. Now watch what happens when we put these two passages together. Jesus in Matthew 16, “I will build my church.” Jesus in Matthew 28, “Go and make disciples.” Both are true. 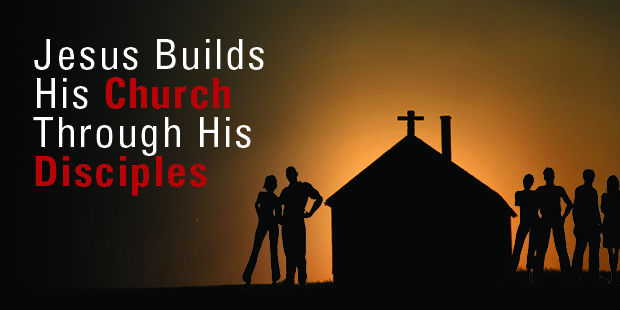 When Jesus builds His church, He does the building by using disciples just like you. He has the authority to send you, and He goes with you. Through very imperfect people God works to create His perfect and beautiful Bride, the Church. Pray that God’s will be done, and that He would build His church. Then stand on your feet, roll up your sleeves and by the power of the Holy Spirit, go and make disciples. 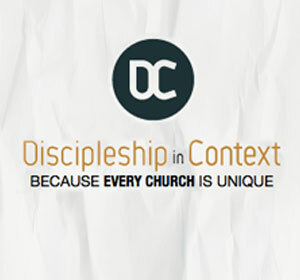 Want to know more about building your church through discipleship? Connect with an Auxano Navigator and start a conversation with our team.